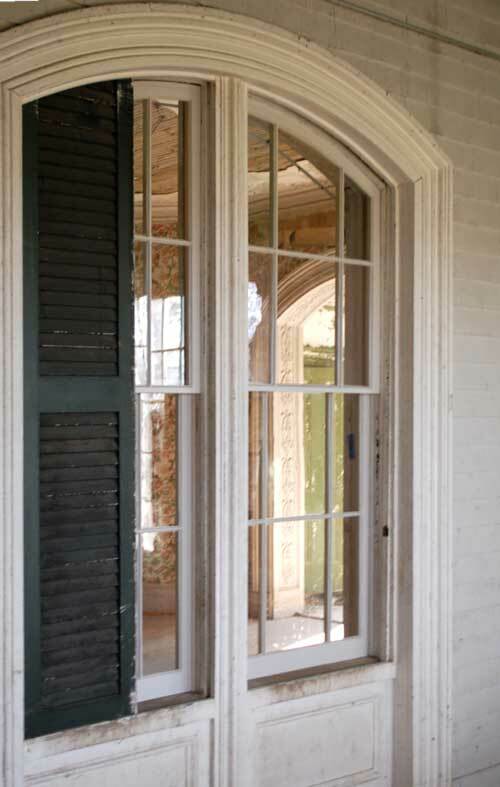 The Dr. Oliver Bronson House is an amalgam of a high style Federal period country house, constructed circa 1811-12, with Picturesque style overlays/additions designed by Alexander Jackson Davis in 1839 and 1849. Because of the sensitive and organic way in which Davis approached his interventions, it is still possible to “read” the Federal house underneath its Picturesque exterior. Over the last decade, a number of architects, landscape architects, and architectural historians have studied the house including the late Jane Davies, Marilyn Kaplan, Bill Krattinger, John Mesick, Alan Neumann, and Bob Toole. 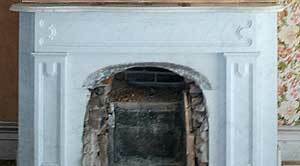 This essay draws from the body of knowledge these experts have assembled as well as ongoing investigations associated with the restoration. 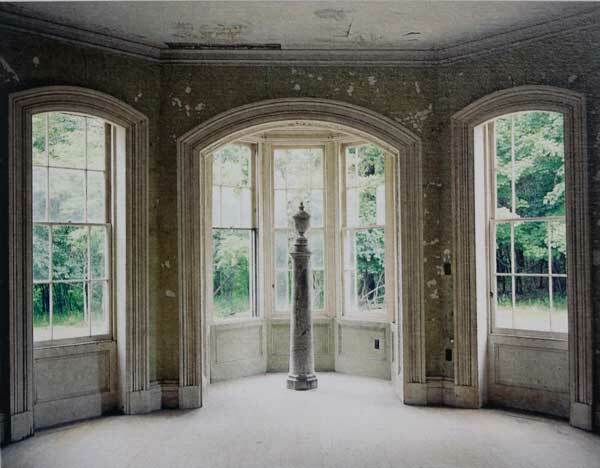 Noted Irish-American artist William Guy Wall painted this scene of the Plumb estate in what is presumed to be its completed form. 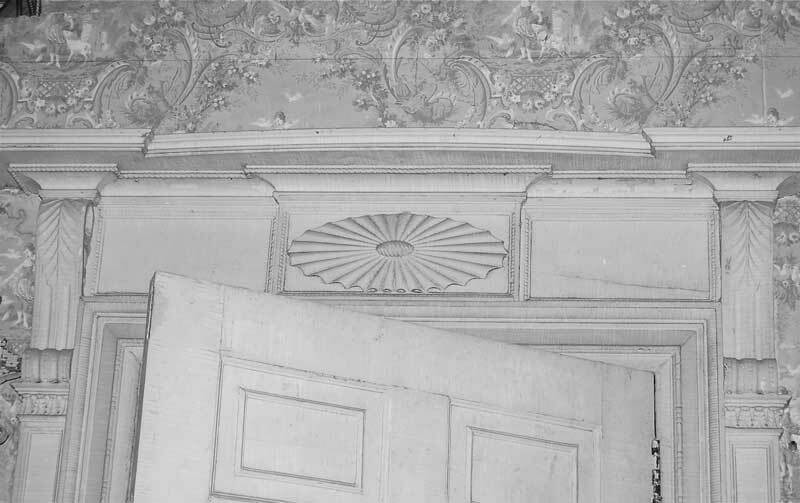 The three-story main block was originally connected by fencing to a pair of ornamental outbuilding “hyphens, ” repeating a common Palladian architectural formula. 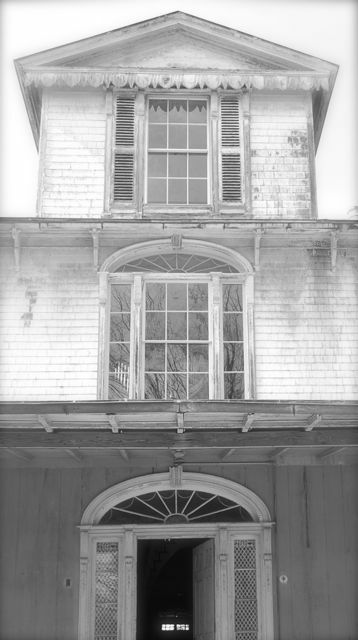 Note the repetition of the semi-elliptical (crescent) forms in the central doorway and windows of the main house, the transom lights and wagon doors of the outbuildings, and the plan itself. Photo credit: Michael Fredericks, 1997. Likely on the advice of his brother-in-law Robert Donaldson, Dr. Oliver Bronson hired A.J. 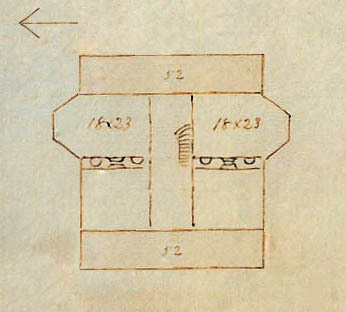 Davis to “refit” the house in 1839. 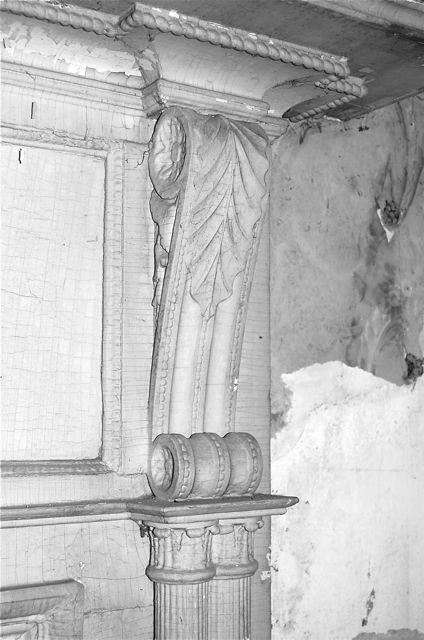 Davis’s Daybook indicated that he visited Dr. Bronson in Hudson on April 17th, and while there “designed various fixtures and embellishments” at a cost of thirty dollars. 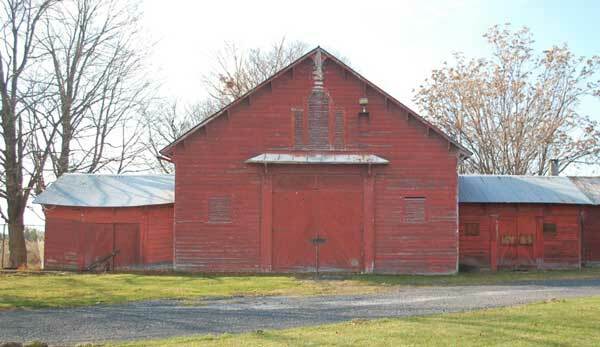 In June, he recorded “sketch of stables, barn and ornament for Dr. Bronson” with a price of fifteen dollars. 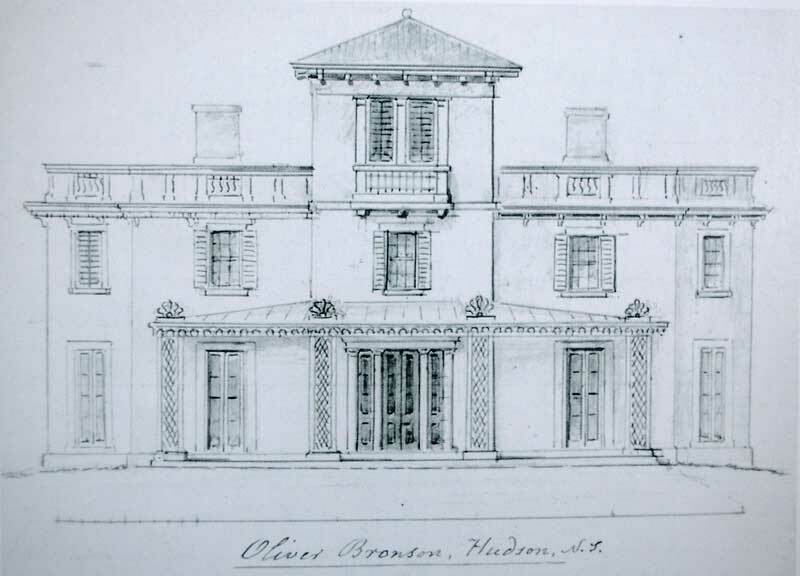 In December 9, 1839, he recorded “Drawing Dr. O. Bronson’s villa, H. Whitney’s, J. 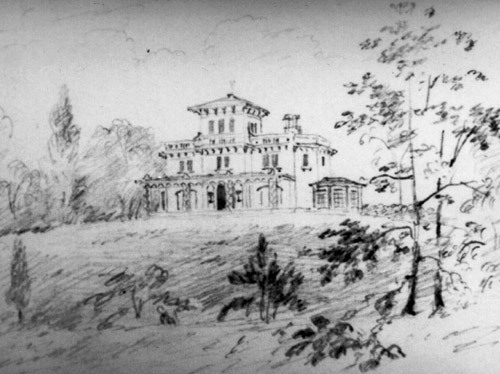 A. Hillhouse, landscape views.” The 1839 drawing unfortunately is lost, but the Daybook entry suggests the work was substantially complete: a nine month remodeling job. Digital reconstruction of the East Verandah, c. 1839. Peter Watson. 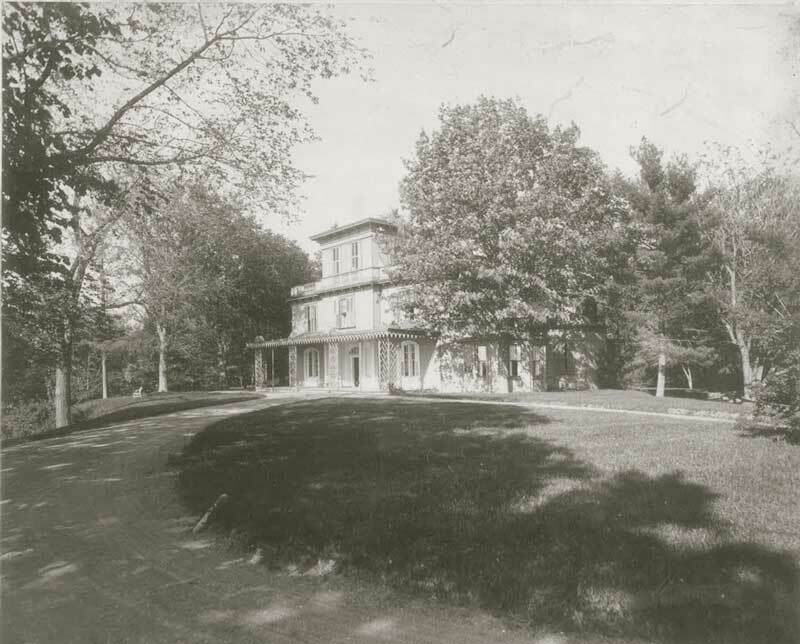 In addition to adding the stables, Davis also reworked the carriage drives and likely consulted on the planting of irregular copses of trees in front of the house. 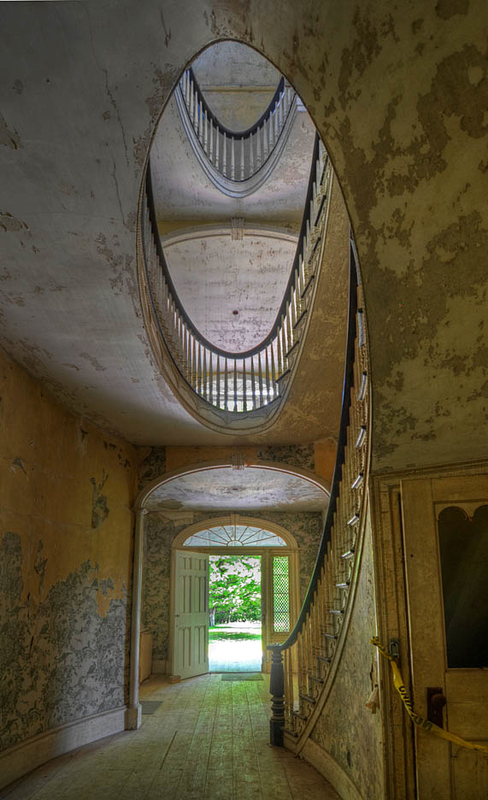 Both were characteristic strategies of English landscape theory designed to create a more picturesque approach to the house, screening it from view until the last moment when it dramatically appears to best effect. Records show that Dr. Bronson purchased ninety-three dollars of plant material from famed nurseryman and later Davis collaborator Andrew Jackson Downing. This was a substantial sum at the time equivalent to perhaps two hundred trees. The exact nature of the Downing and Davis’s involvement with the landscape process is unknown but highly important and suggestive. 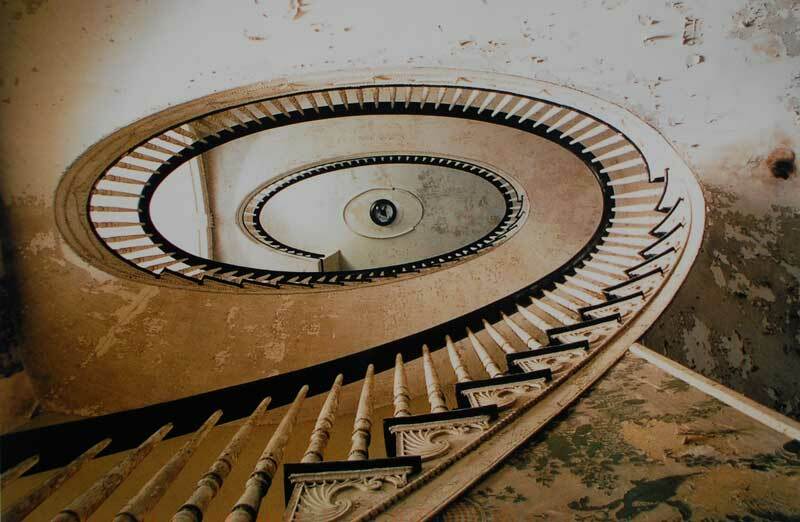 At the center of the new plan is an octagonal gallery that serves as the base of the tower and creates circulation paths through the hall to the new verandah and outward to the semi-octagonal parlors. This new design created an elegant enfilade of octagonal entertaining spaces that could be closed off with sliding partitions. 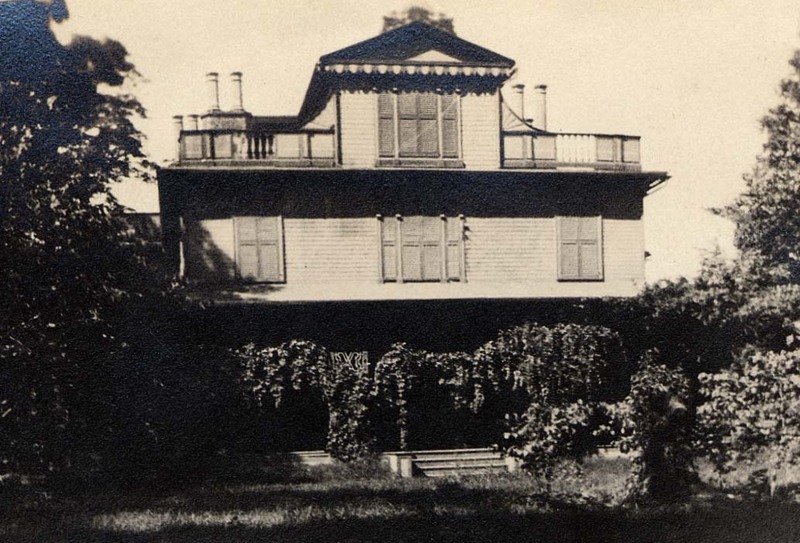 Upstairs, a pair of large semi-octagonal bedrooms were connected by a sitting room overlooking the Hudson. A smaller third story provided a wide prospect over the river and Catskill mountains beyond. The effect was much grander than the size of the addition. A.J. 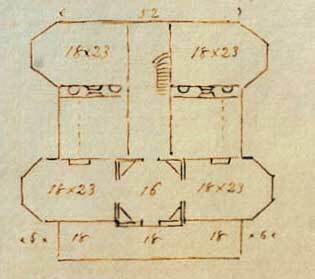 Davis pencil sketch of completed 1849 addition. Courtesy of Avery Architectural and Fine Arts Library, Columbia University in the City of New York. 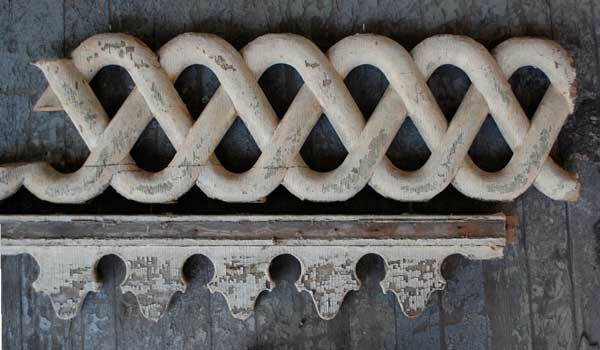 Detail of West Verandah, c. 1875. Historic Hudson/Rowles Studio collection. 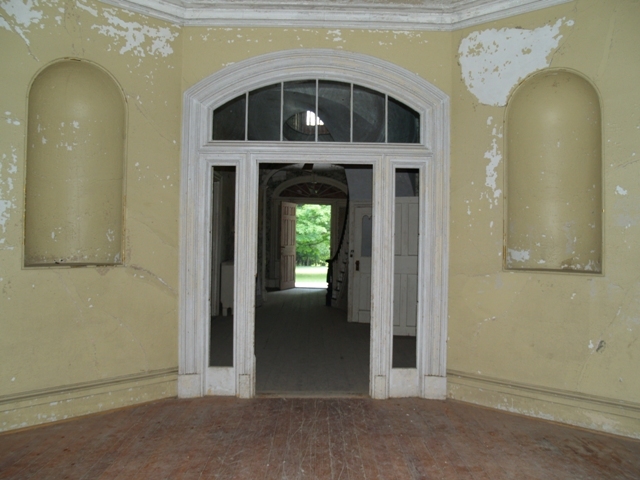 View from Davis Octagonal gallery back through house. Photo credit: Cherie Miller Schwartz. In 1854, only five years after the 1849 A.J. 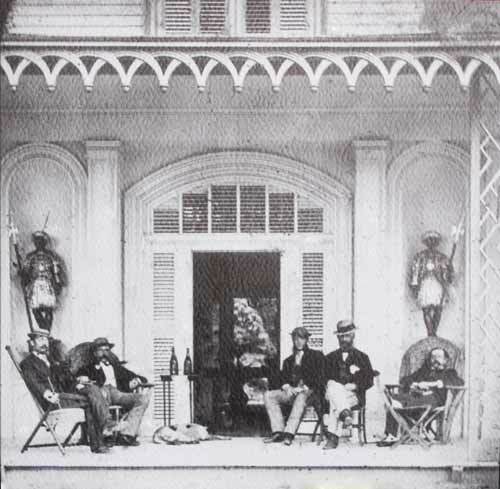 Davis remodeling campaign, Dr. Oliver Bronson sold the house due to declining health, eventually settling in St. Augustine, Florida. Subsequent owners made a few changes to the house including adding a utilitarian one story kitchen addition to the south elevation, adding bathrooms, changing a few partitions, and making other minor changes. But all-in-all, the house is virtually intact from Davis’s last campaign. 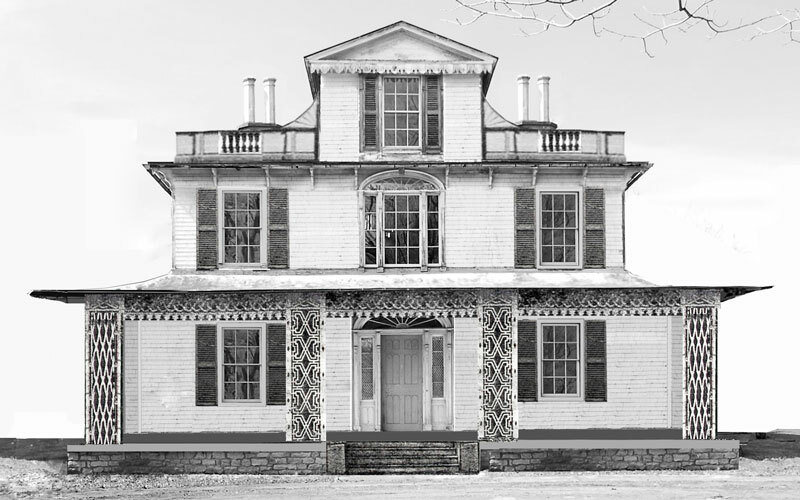 And not only the 1849 house, but also the 1839 and 1812 houses, all carefully arranged in a single unified composition as only Davis, the great artist, could have accomplished.